Q: Do you accept assistance from the ELCMC or CDS? A: Yes, we do accept childcare subsidies from the ELCMC, formerly CDS. All we need is your certificate of eligibility to help calculate your rates. To apply for a childcare subsidy, call the Early Learning Coalition of Marion County to make an appointment or apply online. Q: Are you a FREE VPK provider? A: Yes! We offer FREE VPK during the school year, as well as during the summer. Please visit our VPK page to learn more! Q: Are you a religious based center? A: No, however we do respect families’ religions. If your child’s class will be participating in activities that your religion does not allow, please let your child’s teacher know, and an alternate activity can be arranged. Q: Does your center celebrate holidays? A: Yes! We celebrate both traditional and non-traditional holidays, including Christmas, Thanksgiving, Dr. Seuss’s Birthday, Easter, St. Patrick’s Day, and many, many more. Parents are always welcome to stop by and participate in our festivities! Q: Are parents allowed to participate in their child(ren)’s classroom? A: Of course! Aside from having an open door policy, we often invite parents to participate in holiday and birthday celebrations and other special events. If parents or grandparents ever just want to spend a couple of hours in their children’s classroom, that’s perfectly fine too! Q: Do you host any family events? Q: What type of benchmarks do you incorporate in your curriculum? A: Each age group has certain benchmarks incorporated into their classroom curriculum. For example, every class is required to reach a certain level of language, math, art, music, physical development, Spanish, & American Sign Language. To learn more specific information on a particular age group, please visit the Our Programs page. Q: Does Alphabet Land Learning Center administer medication to children? A: Yes, as long as we have the medication in its original container (labeled with the child’s full name), and signed authorization from the child’s parent and physician. Q: What is your dress code? Do you require a uniform? A: We do not require a uniform for our students. We just ask parents to keep in mind that their children will be very busy throughout the day, so make sure they dress comfortably. Please send all articles of clothing labeled with your child’s full name, to avoid any mix-ups. A: No child is humiliated or subject to discipline that deprives him/her of rest or food. Spanking is not allowed. The goal of our method of discipline is to help the child control his/her own behavior without fear and without the adult serving as a policeman. Q: Can I hold a spot for my child? 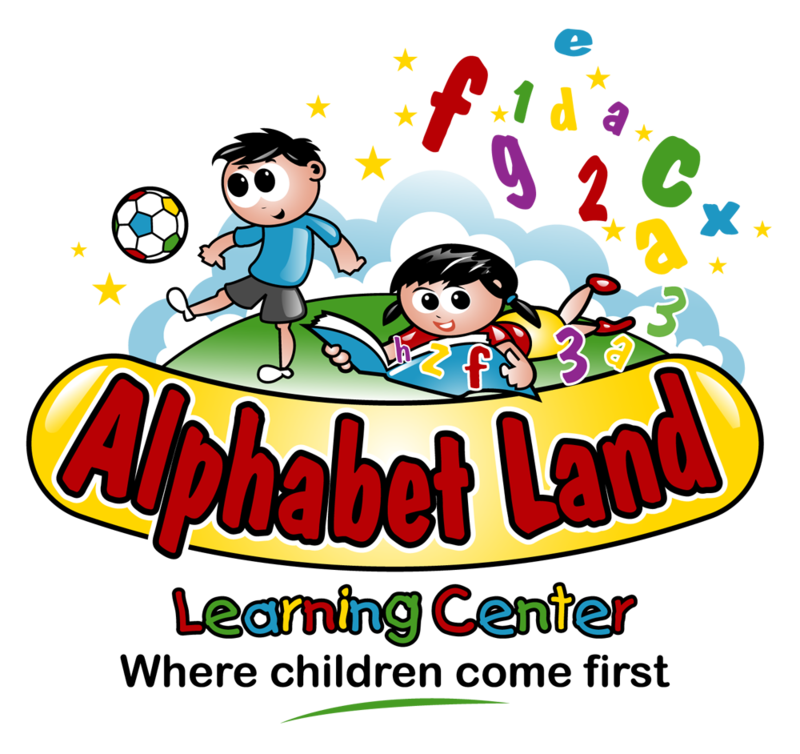 A: Quite often, parents know that Alphabet Land Learning Center is the place for their child, but will not be needing childcare until a certain date. In this case, parents are able to pre-enroll their child, holding your spot until you’re ready. A: We must have a completed enrollment packet for each child before the child is allowed to begin attending any of our programs. In addition, we must have a current physical examination form and immunization form for the child, within two weeks of enrollment. Q: How often does my child get outside play? A: Each classroom goes outside twice a day, once in the morning, and again in the afternoon. If the weather does not permit for outdoor play, the class still takes part in physical activities. If for any reason you do not want your child to participate in outdoor activities, please send a note, letting your child’s teacher know. A: There is no minimum requirement for attendance, however we recommend that your child attend as regularly as possible in order to participate in all the fun lessons and activities. Please keep in mind that tuition is due regardless of attendance, so take advantage and bring your child as often as possible. A: We currently accept payment by cash, check, money order or credit/debit cards (Visa, Master, Discover & American Express). We also accept payment over the phone. Automatic billing is also available to our parents. Q: What types of foods do you serve? A: We pride ourselves in the fact that we serve a wide variety of foods, including foods from different cultures. Q: My child has food allergies. Will food substitutions be made? A: Of course! Please be sure to point out all allergies on your child’s enrollment application, and if possible, include a doctor’s note.